How many of us did not stay with their eyes glued to the TV set, watching Big Brother? Some would hypocritically say they are not watching "this kind of crap". The honest ones, maybe even a bunch of intellectuals with a sense of humour, will admit having watched it, just like they are watching other shows with direct access to the human emotional reactions: pain, suffering, jealousy, love, etc. We secretly hope to be the beyond-the-screen witnesses of events forcing out limits. 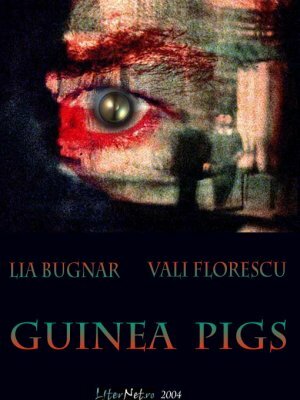 This is one of the reason why I liked Guinea pigs, the screenplay written by Vali Florescu and Lia Bugnar, because here we find, dug up and placed on the table, the most secret and most hard to confess expectations of today's television audience, and also, next to this hunger for sensationalism, the real life, the life-changing event. In fact, Guinea pigs is eventually a love story in which the tragic situations fuse with the comic ones. Ileana, the protagonist of a television experiment of the candid camera type, and Sebastian, apparently an ordinary man, who happens to be the guinea pig of this experiment, get involved in a story full of suspense, a quite unpredictable one, with an ending resembling to that of a thriller, where neither the victim, nor the hangman are what they first seem to be. In a way, the two authors are playing extremely intelligently with our wishes and expectations, launching us on false tracks, until the moment when, after having outcheated the very system which had organized the big cheating game, they put in front of us an unexpected, tragic, outcome. Guinea pigs is made of two symmetrical parts, equally perfect from the structural point of view – the candid camera and the studio room, if you like -, which can function even autonomously from one another, but which, reunited, make up the story of a relationship, which is as simple as it is spectacular. The candid camera of television has a matching correspondent in the hidden room of each of us. Many have said that Big Brother was set up. I have no doubt that this was true in the beginning. But I also think that, as people started to know each other better, to enter interpersonal relations, the arrangement slowly escaped a little from the organizers' hands. What if, let's say, one of the contestants would have gone mad and taken all the others hostages, threatening he is going to kill them? Would the show have stopped? What TV audience member would have turned off his TV then? This is the experiment that Vali Florescu and Lia Bugnar are inviting us to participate in. In the end, they seem to say: beware of what you wish for, it may really happen! In my opinion Guinea Pigs was quite good! Great job Lia Bugnar and Vali Florescu, I appreciate the work you've done! Why is anybody who does not admit to watch Big Brother a hypocrit? Is everybody who admits to like classical music a snob? Or as in movies a serial killer or a European? I don't watch Big Brother. As a matter of fact I don't watch talk shows either. And I don't watch Mircea Badea. Not from lack of trying. I just do not enjoy them. As I do not enjoy being called a hypocrit for stating what I like and dislike on TV. However, a screenplay about a reality show is not a reality show, so I might as well like it. It happened with Truman Show.